The permafrost in the ocean bottom below the East Siberian Arctic Sea is thawing at a rate of 14 cm per year. 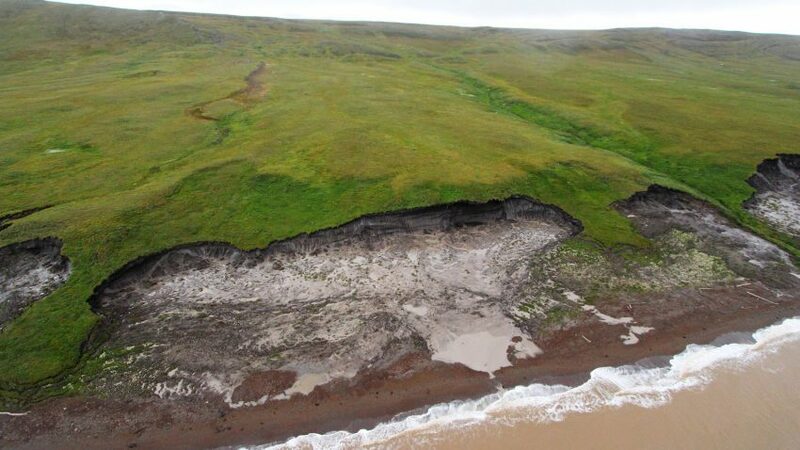 That’s a lot faster than for permafrost on land and the process may eventually lead to increased global warming through increased release of methane according to a new study published in Nature Communications by ACES researchers and international colleagues. “The area that’s thawing is enormous – equivalent to four Baltic Seas,” says Örjan Gustafsson, professor at ACES and co-author of the study. In the course of numerous research projects and expeditions, the primarily Swedish-Russian team has investigated conditions in the Arctic Ocean to observe phenomena related to the potential release of carbon from thawing permafrost, sometimes called the “sleeping giants” of the global carbon cycle and a key potential for carbon-climate feedback. If the carbon is released, the levels of carbon dioxide and methane in the atmosphere will rise, increasing the rate of climate warming. Örjan Gustafsson and the research group’s latest study is based on observations that were taken from 2011 to 2015 in the coastal ocean off Northeast Siberia. Permafrost is frozen ground that is made up of decomposing organic material and the methane created by this process. When warming causes the permafrost layer to weaken, methane is released.